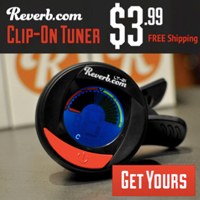 Published on May 15, 2009 in Bands/Artists, Music, Out and About and Upcoming Show. 0 Comments Tags: 94 East, Alexander Nevermind, Bobby Z, Brian Gallagher, Brown Mark, cabooze, Chance Howard, Dez Dickerson, Donnie LaMarca, Dr. Fink, Eric Leeds, Flyte Tyme, G Sharp, Jellybean Johnson, Jerry Hubbard, Jesse Johnson, Jessie Starr, Jimmy Jam, Kip Blackshire, Kirk Johnson, Kiss, Madhouse, Margie Cox, Mazarati, Michael Bland, Mid-America Talent, Mike Scott, minneapolis, Mint Condition, Morris Day, New Power Generation, NPG, O'Dell, Paisley Park, Pepe Willie, Prince, Prince Family Reunion, St. Paul Peterson, Stokley, Susannah Melvoin, Ta Mara and the Seen, Terry Lewis, The Family, The Revolution, The Truth, Tyka Nelson, Upcoming Show, wendy & lisa. During his heyday in the 80’s as the reigning Purple King of Minneapolis, Prince built an astonishing music empire. His creative output could not be contained it seemed and the king surrounded himself with a funky court of many talented artists and musicians who either were backing him in his many bands over the years, or would benefit from his seemingly-endless supply of songs in their bands and projects. Most of these musicians would move on to non-Prince projects whether it was due to Prince’s short-attention for a given project or frustration over Prince’s princely ways. Last year on the eve of Prince’s 50th birthday, a collection of his former sidemen and friends gathered at the legendarily cramped Cabooze bar in the West Bank area of Minneapolis to celebrate with an all-star jam. While a cryptic “Jamie Starr” was listed on the marquee, the man of honor didn’t make an appearance, the show was a greatest hits of his catalog as well as the associated acts like The Time and The Family. This is apparently the third annual Prince Family Reunion, and this year we see that “Alexander Nevermind” is listed on the bill! & a very special MAZERATI Reunion featuring all the original members! Based on the list of players above it sort of seems like this event would be difficult to pull off considering how some members wouldn’t have worked together in any of Prince’s projects or otherwise. The key to this seems to be the band listed as “The Truth” which shows up on a number of the members’ lists of bands. The Truth was an all-star lineup of former Prince-related sidemen who performed regularly in the Twin Cities in 2006 and 2007, and released a CD of one of their performances in 2008. The band consisted of “St. Paul” Peterson on bass, vocals, guitar and keyboards, Jellybean Johnson on guitars, O’Dell on guitar and vocals, Jerry Hubbard on bass, guitar, keyboards and vocals, Chance Howard on bass guitar, bass synth, and vocals, Kirk Johnson on drums and vocals, Eric Leeds, on saxophone, keyboards and vocals, and Donnie LaMarca on keyboards. The Truth was managed by Jeff Taube of Mid-America Talent, which is also putting this show on, so it all ties neatly together. The press release also mentions other “Very Special Suprise Guests” so it will be interesting to see who else shows up. Aside from Alexander Nevermind himself, Wendy & Lisa would be cool, and maybe Morris Day? 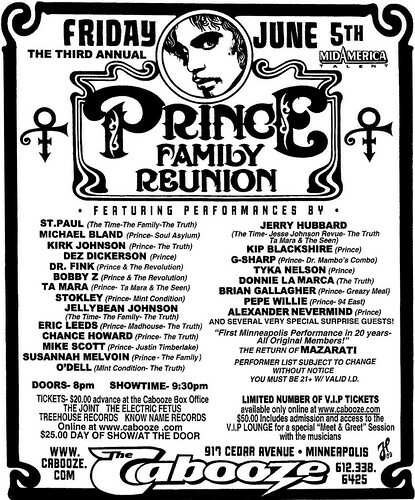 As with any project like this one, you end up with some folks who were notable in Prince’s camp (St. Paul, Susannah, Jellybean, Eric Leeds, Bobby Z., Dr. Fink, Dez) and you end up with some sort of questionable relations– Ta Mara was really more notable as Jessie Johnson’s protege, however, Prince did sign her to Paisley Park and recorded an album, but never released it– hiding in a vault somewhere in Chanhassen, I suppose. Mint Condition was a band discovered by Jimmy Jam and Terry Lewis of The Time fame, but since they are managed by Mid-America Talent and are part of The Truth, they get to be here. Tyka Nelson is Prince’s sister, and not really part of his direct musical career. G-Sharp toured with Prince during the Diamonds and Pearls World Tour– his band backed Carmen Electra who was the opening act. Pepe Willie is an interesting part of Prince’s history (and a VERY IMPORTANT ONE according to his website), but unless this group was going to play 94 East or Grand Central songs (both early Prince Bands), I don’t think his addition to the lineup is essential. The Mazarati reunion is pretty interesting. The story of Mazarati is similar to the Margie Cox story in that it is one of a Prince relation casualty. Mazarati was founded in part by Brown Mark of The Revolution. After some local buzz surrounding a demo of “Stroke” that was played at First Avenue by a DJ, Prince took an interest in the band and signed them to Paisley Park. Prince wrote their biggest single “100 MPH,” but the most noted story surrounds what would become one of Prince’s biggest singles “Kiss.” Prince gave them “Kiss” as a rough demo. After spending the day rebuilding the song from the ground up, Prince took the song back and added his own vocals and some production touches. He didn’t even bother to remove the background vocals that were done by Mazarati! So, maybe Mazarati will do “Kiss” at the show? You can hear their demo of “Kiss” at their MySpace page. It turns out that I have a family thing to go to in the Twin Cities that day, so my wife and I are talking about going to this. I’ll provide a show review and pictures here! Click Here to read the interview I did with Wendy & Lisa about their new album! The Time to play b-sides archives for the margie-cox tag.